On October 16, 2017, the Glenview Titans Fastpitch Association (GTFA) held its annual parent meeting. It was with great pride that nominees and winner were announced for the 8th annual Sammy Cipolla Award. This award was established in the fall of 2010 to honor the memory of Samantha Cipolla, a six-year veteran of GTFA and member of the Glenbrook South High School softball team, after she passed away from a two-year battle with cancer in 2009. 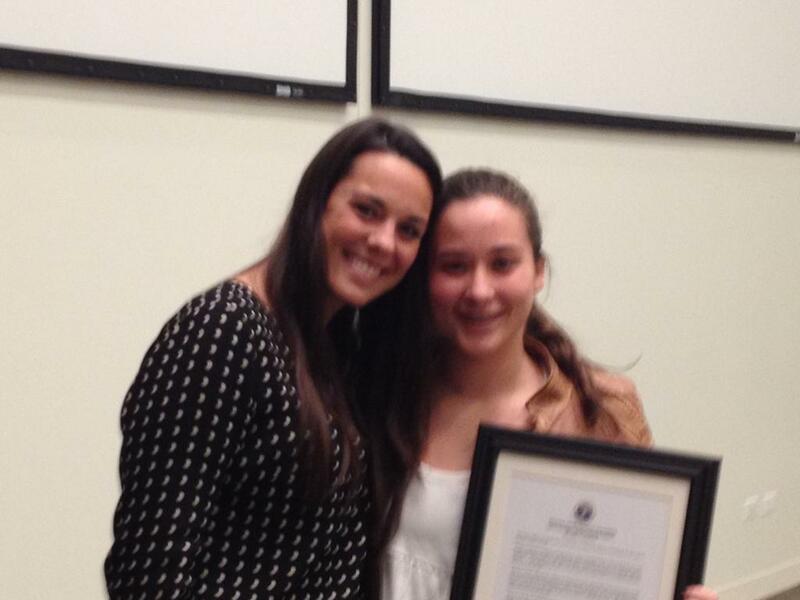 The Sammy Cipolla Award has been given each year to the GTFA player who best epitomizes Samantha's attributes, both on and off the field, as voted by the all volunteer board members. Each coach is asked to nominate one player from his/her team who he/she thinks "shows courage and calm inspiration by approaching seemingly challenging situations with confidence and ease, exhibits unique softball IQ, displays superior work ethic and passion for the game of softball, raises the morale and performance of the entire team through her contagious positive and enthusiastic nature, and who demonstrates true camaraderie by always supporting teammates and celebrating their triumphs." 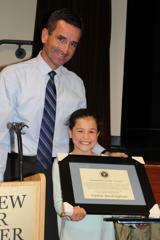 This year, Glenview Titans Fastpitch Association was very proud to present the Sammy Cipolla Award to Sophia Buckingham (10U). Other 2017 nominees were Lucy Kramer (14U) and Grace Brobson (10U). "Sophia is obviously in love with softball, and that love is supported at home by her parents and her sister. She takes guidance from coaches and translates it into her game, and her successes only breed more confidence, achievement and smiles." On October 17,2016, the Glenview Titans Fastpitch Association (GTFA) held its annual parent meeting. It was with great pride that nominees and winner were announced for the 7th annual Sammy Cipolla Award. This award was established in the fall of 2010 to honor the memory of Samantha Cipolla, a six-year veteran of GTFA and member of the Glenbrook South High School softball team, after she passed away from a two-year battle with cancer in 2009. 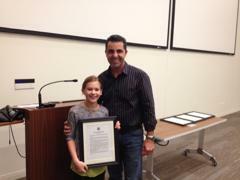 This year, Glenview Titans Fastpitch Association was very proud to present the Sammy Cipolla Award to Rachel Koopersmith (12U). Other 2016 nominees were Elaina Golden (14U) and Clare Lanscioni (10U). "Rachel's all around attitude, athleticism, and softball skills made it an easy choice for me to nominate Rachel Koopersmith for the Sammy Cipolla Award." "Rachel has exhibited dedication, athleticism, sportsmanship, and team spirit above and beyond the average player." 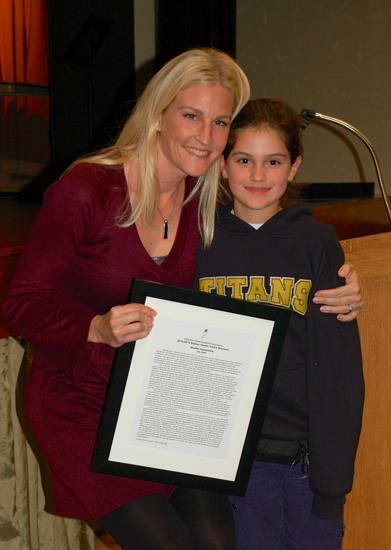 In October 2015, the Glenview Titans Fastpitch Association (GTFA) held its annual parent meeting. It was with great pride that nominees and winner were announced for the 6th annual Sammy Cipolla Award. This award was established in the fall of 2010 to honor the memory of Samantha Cipolla, a six-year veteran of GTFA and member of the Glenbrook South High School softball team, after she passed away from a two-year battle with cancer in 2009. 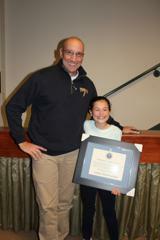 This year, Glenview Titans Fastpitch Association was very proud to present the Sammy Cipolla Award to Kylie Coy (12Blue). Other 2015 nominees were Bella Albrecht (16Gold), Kat Klish (14Gold), Alex Adams (10Gold) and Emily Miller (12Blue). "Kiley started the 2015 season having never played travel softball. She was very shy at Fall practices, and was very hesitant when we started a new practice drill that she was unfamiliar with. 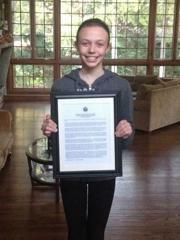 Fortunately, she quickly increased her softball knowledge through the Fall and Winter seasons." "I also believe her (Kiley)work ethic inspired her teammates to work harder at practice. It was on many occasions I overheard multiple teammates telling her that she did a great job catching. As she did better behind the plate, our team did better in the field. Although our record did not show it, the team improved greatly. The girls all became better softball players and formed a true camaraderie. 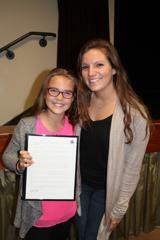 Kiley's performance was inspiring and she was definitely one of the leaders of the team. She always played with a smile and was friends with all the girls." 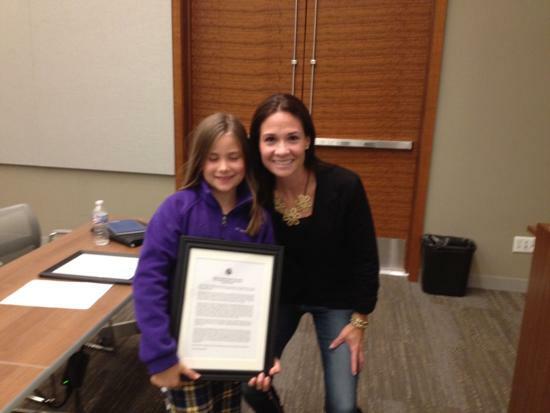 In October 2014, the Glenview Titans Fastpitch Association (GTFA) held its annual parent meeting at the American College of Chest Physicians in Glenview. In addition to the general business of welcoming new families and reviewing policies for old and new alike, it was with great pride that nominees and winner were announced for the 5th annual Sammy Cipolla Award. This award was established in the fall of 2010 to honor the memory of Samantha Cipolla, a six-year veteran of GTFA and member of the Glenbrook South High School softball team, after she passed away from a two-year battle with cancer in 2009. This year, Glenview Titans Fastpitch Association was very proud to present the Sammy Cipolla Award to Winnie Tomsheck (14U). As Coach - Gena Lenti put it, "Winnie was also a great leader during our summer tournaments, catching every single game and never complaining once! Instead, she embraced the challenge of being the only catcher, and she relished in the opportunity it gave her to be on the field at all times. That being said, having Winnie on the field at all times was essential to the morale of the team. Because she was constantly guiding and encouraging others vocally as well as through her actions, she acted as a spark plug for the other girls and someone I could count on when the game was on the line." 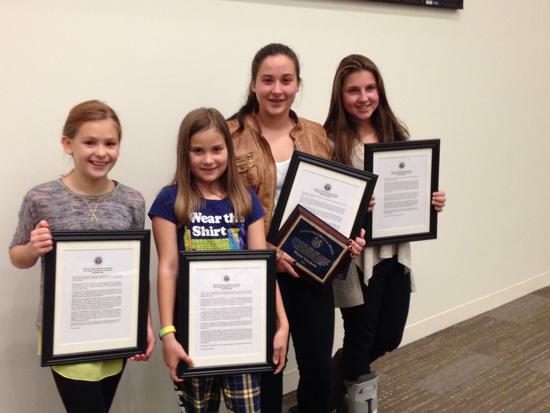 Nominees for the 2014 Sammy Cipolla Award included: Penny McNeela (10 White), Amanda Souter (10 Blue), Cami Sapienza (10 Gold), and Maia Blomberg (12 Gold). On Monday, October 7, 2013, the Glenview Titans Fastpitch Association (GTFA) held its annual parent meeting in the Park Center’s Lakeview Room. In addition to the general business of welcoming new families and reviewing policies for old and new alike, the nominees and winners were announced for the fourth annual Sammy Cipolla Award. 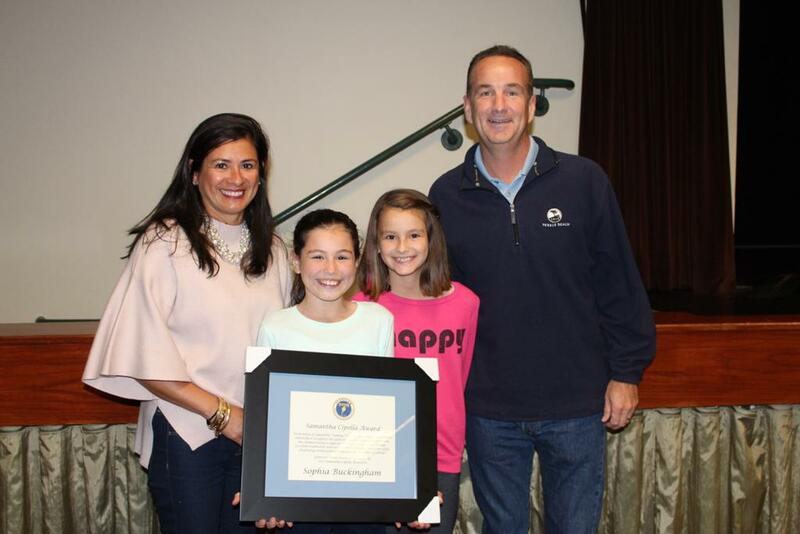 This award was established in the fall of 2010 to honor the memory of Samantha Cipolla, a six-year veteran of the GTFA and member of the Glenbrook South High School softball team, after she passed away from a two-year battle with cancer in 2009. 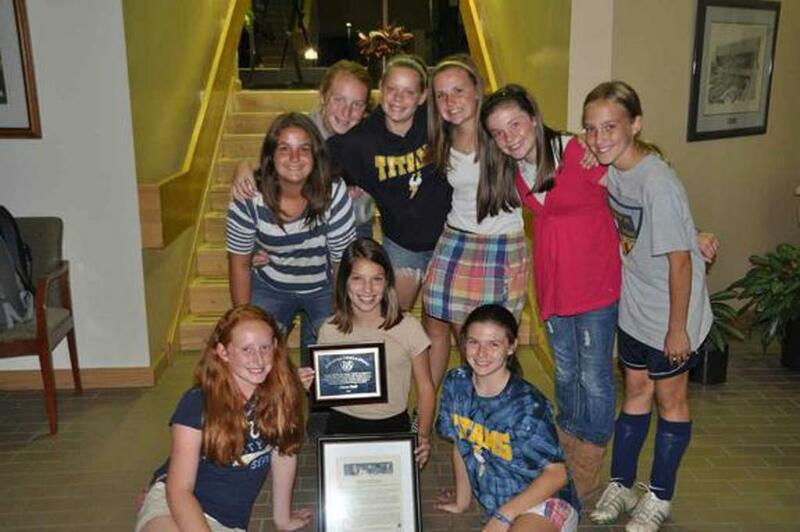 The award is given each year to the GTFA player who best epitomizes Samantha’s attributes, both on and off the field, as voted by the volunteer board members. Each coach is asked to nominate one player from his/her team who he/she thinks “shows courage and calm inspiration by approaching seemingly challenging situations with confidence and ease, exhibits unique softball IQ, displays superior work ethic and passion for the game of softball, raises the morale and performance of the entire team through her contagious positive and enthusiastic nature, and who demonstrates true camaraderie by always supporting teammates and celebrating their triumphs.” Visit http://1tuffcookie.blogspot.com/ to read Samantha’s blog and learn more about her. This year, for the first time, the GTFA experienced a tie and presented two winners: Maddie Kapsimalis (10 Gold) and Julia Bass (12 Gold). The other nominees for the award were Emma Rempe (10 Blue), Kaylee Braasch (12 Blue), Julia Sultz (14u) and Sarah Joseph (16u). Past winners include Abby McCune, Alexa Steil and Julia Williams. The other team’s nominees were: Alex Kleeman (10 Blue), Emerson Sapienza (10 Gold), Lauren Meier (12 Gold), and Natalie Hayes (14 Gold). 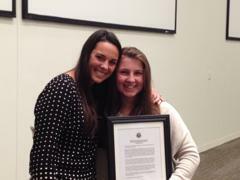 Past winners include Alexa Steil and Julia Williams (see our GTFA Alumni page). 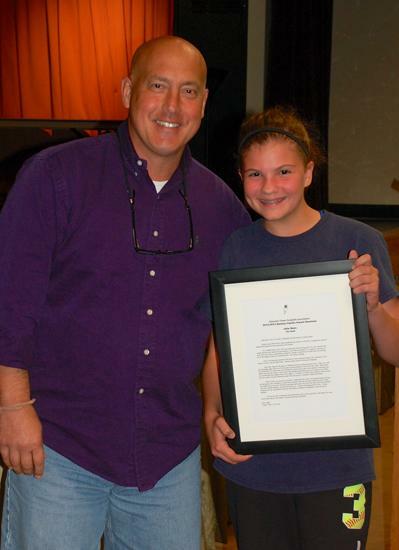 The second annual Sammy Cipolla Award was presented to Alexa Steil at the Glenview Titans Fastpitch Association (“GTFA”) annual parent meeting in October. This award is given each year to recognize the GTFA player who has demonstrated a superior work ethic, positive attitude, excellent teamwork and courage in challenging situations while displaying enthusiasm and passion for the game of softball. Each team nominated one player for this honor. The other nominees were: Julia Bass, Julia Boesche, Sarah Joseph, Madison Kane, and Lainey McKinley. ©2019 Glenview Titans Fastpitch / SportsEngine. All Rights Reserved.